The ColdLasers store and training center is located at 921 Main Street in old-town Louisville, CO. We are the nation's only brick-and-mortar therapy laser store focused 100% on cold lasers and photobiomodulation. We work in all areas of cold laser development including independent research and we work with laser manufacturers and customers to help specify products that buyers want. What really makes us stand out is that we are independent of any one manufacturer, so we can give you unbiased advice about which system should best meet your needs. In addition, we will beat anyone's price on any system and give you better service and support. 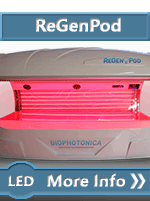 We are also working with a company named BioPhotonica to build the ultimate whole body light pod called the ReGen Pod This system will crush the NovoThor® and Theralight® systems in every way and we hope it will be able to deliver the same incredible results as a laser but in a whole body unattended photobiomodulation system. We sell a wide range of cold lasers (class 1 to class 4) so we can help you find the best laser system for your needs and we won't tell you that one laser system is always the best because it is not true. Each product we sell has a sweet spot. The best system for you depends on your needs and we understand that. All our products have a minimum power level of 500mW because underpowered lasers do not deliver the adequate results. We do not sell systems over 28,000mW because systems in the 30 to 72 watt range are the most dangerous, least reliable and most over-priced systems. It is the under-powered and over-powered system that sometimes give laser therapy a bad name. 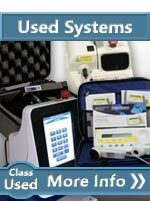 We sell Avant, Eltech K-Laser, EVOlaser, Apollo, Chattanooga Vectra Genisys, Laserex, PowerMedic, Pilot, TerraQuant, 3B Scientific, RG500i, VL500 For anyone looking for a low power system, we often use and highly suggest microlights. In the past, we have sold several other leading brands of cold lasers so we know all the major brands of therapy laser ae can help you learn more about all your options, the technology and the best applications for each device (including ones we do not sell). 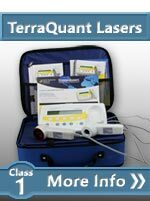 If you browse our laser buyer's guides, you can see specific recommendations based on your application including treatment of horses and companion pets. We also make different recommendations based on broad coverage therapy versus laser acupuncture and trigger point therapy. If your goal is unattended laser therapy, this significant reduces your options but there are still some good choices. 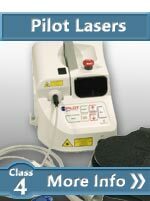 In the field of dentistry, we offer several good dental lasers. 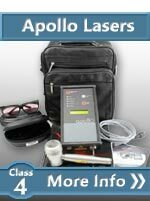 We have different recommendations for professional therapy lasers versus home laser systems but our cold laser guide shows all the most popular and well respected lasers on the market so it is a great article to compare options. We can also help you find a quality laser to meet your budget requirements. We sell to both doctors and consumers. Feel free to call us at 1-800-388-0850 or use the chat option to get help. 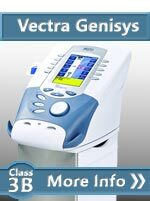 At ColdLasers.Org we present information and specifications of many different professional grade lasers (These include Thor™, Medx™, Erchonia™, VetroLaser™, K-Laser™, and LiteCure™). Unlike exclusive sales people, who must sell you their product even if it is not a good fit, we feel than an educated consumer is a happier customer and we want buyers to understand all their options and their regional regulations and help them to get the best equipment for their needs even if they buy a product we don't sell. All these products have a good reputation with professionals and practitioners, so they are all worth investigating. We do not promote products that have extraordinary or magical claims that are not based on traditional photobiomodulation. We avoid products marketed based on pseudoscience like scalar waves, quantum waves, soliton waves and zero point energy (1). We like to stick to science based products and we don't see any reason to make mystical claims when the science is so solid. We like to stick to the facts and specs. There are some people selling very questionable products including stickers that magically boost the power output of a lasers so buyers must beware. The core of laser therapy is based on using lasers to drive a specific wavelength of light energy into the cells to directly stimulate the mitochondria (a light sensitive component inside every cell) to convert glucose into ATP (adenosine triphosphate). ATP is considered by biologists to be the “energy currency of life”. It is the high-energy molecule that stores the energy our bodies need to do just about everything including cellular motion, cellular division, protein synthesis and repair. Other Research shows laser therapy results in the manipulation of inducible nitric oxide synthase (iNOS) activity, suppression of inflammatory cytokines such as TNF-alpha, IL-1beta, IL-6 and IL-8, upregulation of growth factor production such as PDGF, IGF-1, NGF and FGF-2, alteration of mitochondrial membrane potential due to chromophores found in the mitochondrial respiratory chain as reviewed in, stimulation of protein kinase C (PKC) activation, manipulation of NF-ÎºB activation, direct bacteriotoxic effect mediated by induction of reactive oxygen species (ROS), modification of extracellular matrix components, inhibition of apoptosis, stimulation of mast cell degranulation, and upregulation of heat shock proteins . If you analyze the entire cold laser market, you will find that there are basically 3 different philosophies of what makes a laser great. Put the optimum energy (Dosage measured joules) into the tissue. This is the core technology of photobiostimulation. ColdLasers.Org agrees that proper dosage is the core technology and probably has the highest correlation to efficacy. Pulse the laser to get an additional reaction from tissue. Pulsing adds an extra dimension to lasers and allows lasers to deliver higher peak energy levels while still being safe. In some applications, the pulsing frequency is of upmost importance. Pulsing can also make it harder for the body to become resistant to the therapy so it is more important for longer term treatment plans. This feature is great to tweak the laser for slightly better results but it is over-hyped by some manufacturers. Systems that only focus on pulsing often provide poor results and there are several scam laser companies that claim unrealistic pulsing properties. Use different wavelengths to simulate different reactions. Wavelengths below 800nm interact with the body in a different way than those above 800nm. Every manufacturers says they have the best wavelength but they range from 1350nm down into the 400 nm (blue spectrum). 95% of professional therapy lasers operate in the 620nm to 980nm range. Research shows that 800 to 860 nm is the preferred wavelength for energizing damaged tissue. The more extreme and less established wavelengths are main offered in the hyper-marketed consumer market and there is very little science to justify the fringes of the market that make unbelievable claims about 'magic' wavelengths in the blue, purple, green and yellow spectrum. For any condition that requires deep penetration, the science states that 800 to 860nm is the best wavelength and for many special cases 600 to 660nm is the best option. If your primary focus is increasing circulation, then 980nm is mostly converted to deep heat. If you have time to do research, there are lots of publication to show what is the best wavelength for laser therapy. After years of working with tens of thousands of people, it is obvious that all these theories are part of the equation. However, it is up to each buyer to determine which theories they believe in and which laser is appropriate. The therapy laser market is a mix of well-established ethical companies and a few sketchy pure-hype companies. When comparing lasers, it is wise to look at the specification and not the marketing claims. The single most important factor in successful laser therapy is getting the right dosage. Special pulsing and wavelengths can help tweak the laser for maximum results, but dosage of the right wavelength is the key to success. Just like we see in the pharmaceutical industry, delivering the correct dosage is the difference between success and failure. If the dosage is too little, nothing happens. If the dosage is too high, we do not worry about a life-threatening overdose but we waste a lot of time and money and sometimes get less positive results. Dosage for laser therapy is measured in total joules or joules/cm2 at the depth of the damaged area. Larger treatment areas and deeper areas require more dosage. When Turner and Hode analyzing all the unsuccessful studies on LLLT that people use to discredit laser therapy, they found in every case that the dosage was too low that they should not have shown positive results. Throughout this website, you will see information about how different conditions require different dosages and how different lasers are best suited for different applications. Unfortunately, there is a lot of misinformation about cold lasers on the web. Low power laser manufacturers publish studies and articles trashing higher power laser manufacturer and vise versa. When we first started doing research, the information was incredibly confusing and convoluted. We built this site to help people clear through the fog of conflicting claims. We don't bash any science-based systems because we know each system has a niche, but our general rules are "if it looks like a laser pointer, it probably is a laser pointer". Duty cycle (measured as a percentage of ON time to total time). There is no consensus in the laser community about what is the best pulsing frequency for laser therapy but with the exception of nervous system tissue damage, pulsing is recommended for most applications. The average pulsing setup is 25Hz to 500Hz and a 50% duty cycle. Super-pulsing lasers are much lower duty cycle, but they are typically very high peak power. Most cheaper lasers are continuous wave output only. In general, each wavelength interacts with the cells in your body in a unique way. If you want to read more about the advantages and disadvantages of each wavelength, read our article on "wavelengths used in the laser therapy". 800-860nm: This wavelength is best for increasing cytochrome C oxidase and adenosine tri-Phosphate (ATP). It is our recommendation for anyone seeking the best long-term benefit and it is offered by every single manufacturer we sell. This wavelength provides the best combination of depth of penetration and photo-chemical reaction. If you only buy one wavelength, this would be our recommended one. 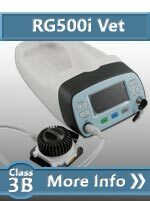 600-660nm: Best for more superficial therapies and best for absorption by the blood. This wavelength is the second best for ATP release as well as for interaction with melanin and has the highest absorption rate in blood. Erchonia and Aura are the big manufacturers who work mainly in this wavelength only, but many other manufacturers uses it as a supplemental or secondary wavelength. 920-980nm: This wavelength is popular among manufacturers that repurpose surgical lasers. This is the least efficient wavelength for a therapy laser since a lot of the energy that is converted into heat energy is not converted into chemical energy, which is typically the main goal of photobiomodulation. This frequency has become very popular because higher power diodes are really cheap since they are also used in surgical lasers and so they are the highest profit lasers. Surgical laser manufacturers say that they use 980nm because it is perfect for heating, cutting and cauterizing. A recent independent study found it is only delivered about 1/30 the energy to depth that you get with 800 to 860nm. It can be a good 2nd or 3rd choice for a wavelength in a general-purpose laser but we feel that is a bad choice for a single wavelength system. 900-910nm: This wavelength is often combined with an electromagnetic field to drive the photons for better results. This wavelength is best for increasing oxygenation from the iron in hemoglobin. These systems are the safest lasers because of the pulsing technology used in all 900 - 910nm systems. These systems typically deliver low dosage but make up for it with high peak power, a magnetic field and an emphasis on pulsing. Below 600nm: Wavelengths below 600nm have become popular in consumer products that claim their products have mystical properties. There is very little scientific research on these wavelengths and none of the elite laser companies work in this spectrum. UV light (400â? ?495 nm) can be used to sterilize the treatment area (because it disrupts the DNA of the bacteria) so it could be good for a triage laser but using it is like a chiropractor slathering every patient with antibacterial cream before they do an adjustment. It might cause more harm than good. At this point in time pink, purple and green lasers are not used by any of the core laser therapy company and there is very little science to prove their value. They are mainly promoted by fringe companies with wild claims. They might be the next great thing, or they might be 100% marketing hype. There are 3 basic styles for treatment using cold lasers, pinpoint treatments (acupuncture, laserpuncture or trigger point), broad therapy and hands free therapy. Each treatment style has a different goal and different equipment requirements. In many cases, the same condition can be treated with 3 totally different strategies of cold laser therapy. Strategy Treatment of meridians, trigger points, acupoints, small body part or lymph system that controls the problem area. Direct treatment of the damaged tissue in the problem area where the laser is moved around the damaged tissue. The emitter is held at a distance so that the entire area can be treated without moving the laser. In laser trigger point therapy, the cold laser is used similarly to acupuncture or acupressure to trigger a reaction from the body by stimulating an acupoint. In this case, a focused low level laser beam is used to concentrate all the energy from the cold laser into a very small area. Cold lasers are often compared to "acupuncture with a laser beams". In LLL laser puncture treatments, the laser beam is used to trigger the body's acupoints without the fear or pain of needles. The maximum safe power for these concentrated energy systems is 500mW. If you read our analysis of the dosage numbers, you will see that 5mW laser pointers will never achieve an adequate dosage in a reasonable time. In many cases, if a practitioner may not be targeting a trigger point, they will choose to use a cold laser to energize a larger area of damaged tissue in the body. In this case, a cold laser with a broad focus (larger than the size of a dime) and the correct wavelength are used to penetrate the deep tissue with photons direct energize the area. This is typically done by moving the laser and skin contact is preferred if the area will allow it. These large emitters can cover areas up to 4.6 inches square. The larger treatment area increases the chances of stimulating any damaged "hot spots". Larger emitters can also reduce the treatment time and provide a more even energy distribution over a larger treatment area. The size of the treatment area and the depth of the treatment area often dictates a minimum power requirement. The following table shows sample dosages for a small/shallow and large/deep injury and calculates the treatment times to get the same energy concentration evenly distributed over the treatment area at the desired depth. This table illustrates how treatment area and depth increase the required dosage and then power determines the treatment time for that condition. This table illustrated why larger, deeper and more complex (treating multiple areas) conditions require a more powerful lasers to treat the condition in a reasonable amount of time. Lower dosage might bring relief in some cases, but these recommended dosages bring more consistent results. The third option is hand free. With these systems, the emitter is fixed and treats the entire area at one time. There is some loss as the energy travels through the air so treatment times must be increased versus direct contact but this system can be used for unattended therapy so there is no cost associated with having someone hold the laser during the treatment. For busy practices or for areas that cannot be reached easily (like the mid back) by home users, hands free is the best option. 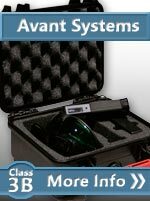 Hands free system come in class 1 through 4. Over the years, we have tried to summarize a lot of information about different cold laser technologies and styles of cold laser therapy. The FDA cleared applications for cold lasers (sometimes called low level lasers, soft lasers or therapy lasers) are pain control, inflammation reduction and increased blood circulation. Some manufacturers have extended these claims to include accelerated healing but that is not an FDA cleared claim. There are over 4000 positive published studies, dozens of books and hundreds of videos showing the efficacy of cold lasers to treat a variety of applications. We have sold systems to several branches of the U.S military, the Veterans Administration, the US Indian Health Services and many medical doctors (MDs) but acceptance of the technology is still held back by insurance companies who falsely think they are saving money paying for lifetime prescriptions for painkillers when a one-time laser purchase would save thousands. Even with over one million lasers current in the hands of professionals and home users, many people still question the efficacy of cold lasers, but the momentum of laser therapy is growing. Unlike hot medical lasers, which are widely used to cut and cauterize tissue, Low Level Lasers (LLLs) or cold lasers penetrates the surface of the skin with minimal heating effect. We sell several different class 4 lasers that will warm the treatment area, but these are still in the same category as cold lasers because they are not hot lasers. In most cases, cold laser therapy is considered an alternative therapy like acupuncture, message therapy, chiropractic, herbal medicine, message, and physical therapy because it does not require surgery or a life-long prescription to drugs. Practitioners have supported treatment options like ultrasound and electrical stimulation for years and now there is a lot of interest in cold lasers as a supplement to their practices. Therapy lasers have provided relief for hundreds of millions of patients and they work perfectly in combination with many other traditional and alternative modalities. 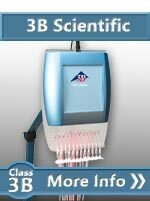 Currently, there are over 50 different cold laser manufacturers that have products that have been cleared by the FDA for various types of treatments. Cold lasers have been used around the world for over 30 years and have been in use in the US since 2001 when Microlight got the first FDA clearance. Low level laser therapy or soft laser therapy has been proven completely safe and effective in thousands of worldwide studies and there are lots of great books to help users get the most out of their laser. The power level of therapeutic cold lasers ranges from 1 milliwatts (0.001 watts) to 60,000 milliwatts (60W). This energy can be created using one laser diode or an array of laser diode. In low-end therapy devices, it is generated using LEDs or SLDs. In many systems, an array of laser beams can increase the total power output with less risk of heating since the energy is evenly distributed over a large area. Since finding the optimum treatment spot deep inside the tissue is somewhat of an "educated guess", it can be very useful to have a larger aperture on the treatment probe. This increases the probability of getting the photons to the problem area and larger emitters also help increase the energy in the area surrounding the main target area. Emitters that use a combination of different wavelengths also have a better chance of treating tissue at different depths since different wavelength have different absorption rates and can interact with the cells in different ways. The average cold laser therapy session cost from $30 to $200. The average cold laser costs from $2000 - $15,000 so the return on investment (ROI) on purchasing a cold laser can be as little as 3 months. Because cold lasers help activate human and animal tissue at a cellular level, cold lasers can be used for cervical (neck) pain, lumbar (low back) pain, wrist pain and injuries (carpal tunnel), elbow and joint pain and injuries, lower extremities pain, foot and ankle pain, joint pain and knee injuries, neuropathy, accelerating recovery after surgery and hundreds of other applications. You can use the research tool at laser-therapy.us to search for published scientific studies, books, videos and other resources. The dosage of laser energy is measured in joules [J] and is equal to the power in watts of the laser multiplied by the treatment time. A 1 watt continuous wave laser delivers 1 Joule/sec at the surface. For a pulsed laser, the laser is off part of the time, so the delivered power is derated by the duty-cycle (ratio of ON to TOTAL time). A laser with more power, measured in milliwatts (mW) or watts (W) or a higher duty-cycle laser can deliver more energy in less time. Delivering joules is where the bulk of the work is done when treating patients. The class of the laser (1 through 4) is largely controlled by the power level from each output beam because they are somewhat proportional to the potential for damage. 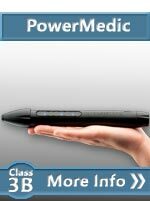 If you want to dig into the importance of power, read our article about " Laser therapy power requirements". Many laser companies make a huge mistake on their protocols. They will use the WALT recommended target energy (which is lower than many US manufacturers recommend) "at depth" (4-8 joules) as the requirement for the output of the laser. This is a huge mistake. At a depth of 1 inch (2.54 cm), up to 80% of the energy has already been absorbed on its way to the damaged area so you must increase the dosage out of the laser to accommodate for the lost energy. That means that to get 8 joules/cm2 at depth can requires 26 joules/cm2 at the surface. Since most system have a treatment are of about 1 inch2 (1 inch2 = 6.4 cm2), the laser should output 167 joules for a single point. If you are moving the laser around, you can easily see why many lasers are underpowered. If you want 8 joules/cm2 at depth over a 3 x 5 you need 2505 joules out of the laser. You can use the table below to see the treatment times for a range of dosage requirement. Too Little: In our summary of laser power requirements, you can see that there are many inexpensive over-the-counter lasers might help with small issues are drastically underpowered for many cases. According to the FDA limitations, OTC lasers are limited to 5 milliwatt (mW). If we look at the theoretical treatment times based on the power of the laser, it is easy to see that these products will never reach the typical dosages that you would get in a doctor's office or clinic in a reasonable time (FYI, one of the largest back pain clinics in the Colorado uses 7000 joules per patient or more). With a 1mW system, it takes 5.7 days to achieve 500 joules at the surface of the skin and 500 joules over a large area (like a back) or into a deep area (like a hip) is not delivering any significant energy. These low-powered lasers are often more powerful than LED therapy systems but they are massively underpowered when compared to professional systems. We do not sell any systems with less 500mW of power because these systems do not provide consistent efficacy*. Too Much Power: Yes, there is such thing as too much power. We do not sell or recommend systems over 30 watts. Once you get above that threshold, the downsides are growing exponentially. We feel that the risks associated with these extreme systems are not worth the benefit. These systems have an increased potential for eye damage (even across a large room), an increased potential for tissue burning (especially with patients with dark skin), a decreased reliability because the diodes are running so hot, and an increased potential to overdose the patient. The main reason these systems exist is because it is cheap to repurpose a surgical laser and their prices are so high that they are ridiculously profitable systems. When they were first released, these systems required a cryogenic cooler installed on the system to reduce the chances of skin damage but then manufacturers found it is cheaper to just tell users to move the emitter fast enough to avoid burning. In almost all cases, the risks are just not worth saving a few seconds or minutes per patient. If the laser is used in a practice where it will be used continuously 8 hours a day, it might be a good trade-off to have a faster machine but for 95% of buyers, the slight increase in speed is not worth the huge increase in risk so we feel more comfortable selling systems with 30 watts at the maximum. The larger the emitter coverage area, the more consistent the energy distribution and the cooler the tissue will stay while absorbing higher power levels. A larger emitter will is more likely to hit a hot spot or damaged area and since many treatments require moving the probe around a damaged area, a larger emitter can significantly reduce the therapy time. Many protocols use a combination of static treatments surrounded by a sweeping treatment around the entire problem area. Products with larger treatment areas are safer AND easier use. If you have a large bruise (damaged tissue) the size of your hip and you needed to "color in" the area with ink, you would want to use a big fat marker and not a ball point pen. When you are treating damaged tissue, you are essentially "painting" the tissue with light. In many cases, you might not even know the exact area that needs treatment the most. By using a larger emitter, you increase the odds that you will illuminate the critical spot. With the exception of trigger point and acupoint therapy, which is typically done by a highly trained professionals, the larger the emitter the better. Pinpoint emitters like the ones listed on our acupuncture page are not optimized for treating broad tissue damage and should only be used if there is no other options. Treatment times typically range from 7 seconds to 40 minutes with most therapies averaging 12 minutes. Most therapies require 1 to 6 treatment locations and an average course is 12 to 24 treatments. For those with 2 bad knees or wide spread arthritis, the total treatment time can really add up. For home use, treatment times are typically not an issue since users can often perform the therapy while relaxing or watching TV. In a doctor's office, treatment times can be a big issue. It is a common practice in the cold laser market for low-power laser manufactures to specify shorter-than-optimum treatment times because they know that no one would buy a product if they knew it would take 24 hours a day of therapy to reach a reasonable energy level in the deep tissue. The result is that patients never get even close to a reasonable dosage and so they often think that LLLT is not effective. This is why we like to talk about the key specifications of lasers like wavelengths and power levels. We try to stay away from the marketing hype. It seems like everything associated with cold lasers has some kind of controversy, and that includes depth of penetration and its relationship with laser power. Some say that higher power lasers push the energy deeper, but this is not technically correct. All lasers of a similar wavelength are losing energy at the same rate as it travels through the tissue. That means that for any treatment depth, all lasers of a similar wavelength lose the same percentage of energy but the power level controls how fast the energy builds up at that depth. To illustrate, let's compare a 1mW laser (like the ones you can buy on Amazon) and professional 10,000mW laser in treating a small deep tissue problem like a torn meniscus. At a depth of 2 cm, 84% of the energy is gone for both systems. Even with 84% of the energy gone, a 10,000mW system is putting in 2 joules/second into the tissue at depth so the system can reach a recommended dosage of 4 to 12 joules/cm2 in less than 6 seconds (for 1 cm2). The LED or 1mW laser system is pushing .00016 joules/second so it will take over 2 hours to treat a single point (1 cm2). Treating a larger area will take days. Not everyone will agree with this concept, but it is more technically correct to say that higher power systems push faster not deeper. Above, we talked about how 800-860nm laser (which is invisible to the naked eye) have the best depth of penetration and 600-660nm has a much shallower depth of penetrations because it is absorbed by blood and melanin. So, what is the actual depth? The RATS (reflection, absorption, transmission and scatter) curve for any wavelength slowly approaches zero but never does so technically manufacturers can say any depth they want. In practice we see that a shallow depth of penetration wavelength like 637nm has a depth of more than 1 inch. We can see this in the unedited image to the left. 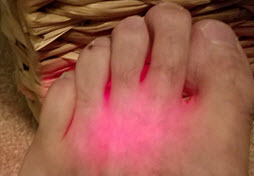 This image shows excess RED light coming out of the top a foot when the laser is applied to the bottom. In this case we were using a 1000mW Avant RED laser and the thickness of the foot is about 2.5 cm so RED has a depth of penetration of more than 1 inch. It is also interesting that we can also see less light where there are blood vessels because they have absorbed more of the energy. If we are working with a laser in the 800 to 860nm range, we should expect to see 16% of the energy still available at a depth of 2 cm and some energy is still being transmitted at 3 to 5 cm. Beyond this depth, we still see chemical migration from the photobiomodulation so it is best not to get too abscessed with depth of penetration. Why do we call it Cold Laser? There is some confusion about what to call the equipment that is described on this site. Probably the most accurate is photobiomodulation (or PBM) equipment but this name doesn't seem to stick with the average person. Some prefer to call the products low-level lasers or soft lasers. The goal of these names is to distinguish these lasers from the medical lasers that are used to cut and cauterize tissue. In some publications, you may see the abbreviation LLLT for Low Level Laser Therapy. Many of the class 4 and some of the class 3b lasers actually warm the skin during therapy so the name cold laser is not a totally accurate description either. Many low level lasers are not low level, they can go up to 60,000 mW in power. There is really no perfect description for the wide range to therapeutic, veterinary and equine lasers so we just call them cold lasers. Cold lasers are typically sold to practitioners but in most states there are no legal limitations for the use of cold lasers in the home. Home owners can buy a class 1 laser without any restrictions and they can purchase a class 2, 3 or 4 laser with a health care provider's recommendation. Some manufacturers now have a doctor on staff that will write the letter, and this is included in the price. Some international laser companies do not require a letter. It can get complicated so if you purchase any system from ColdLasers.Org, we will make sure that we are both in compliant with the regulations. Many higher power lasers use optics to de-focused the beam (typically around 30 degrees of divergence). This creates a larger treatment area. By spreading the energy over a larger area, the product becomes easier to use, provides for more even energy distribution and the product is safer. Manufacturers can use multiple laser beams in an array to get to higher total power levels while still being very safe. Using this technique, it is possible to build a 18-watt class 3b laser that would deliver energy very quickly but have very little risk of excess tissue heating. We can help you find a balance between power, treatment time, cost and safety. If we look at all the claims made by all the manufacturers, the general consensus is that many lower energy doses can achieve the same thing as a few higher dosages. For this reason, every treatment plan is unique. Since many patients will give up on the therapy if they do not feel a noticeable improvement in the first few sessions, it is a good general rule to start out treating with high enough doses to make sure they notice a change. Some patients may prefer immediate pain relief as the highest priority and others may be patient enough to stick with the plan long enough to get a permanent long-term improvement. Since long-term results can takes weeks or months of therapy, it is best to develop a reasonable expectation at the beginning of the therapy. There is a lot of confusion about tissue heating and the potential of therapeutic lasers to do tissue damage from excessive heating. It can and does happen but much of the risk is fear-based marketing generated by lower power laser manufacturers as a reason to buy their product. 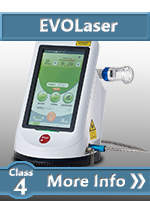 The risk of tissue heating with a class 1, 2 or 3 FDA cleared therapeutic laser is extremely low. You also don't need to worry about significant heating with a class 4 if it is used according to the laser manufacturer's recommendations. For divergent (energy is coming out of the emitter in the shape of a cone) lasers below about 4,000mW (4W), there is an extremely low chance of significant heating for most skin types. It is unclear if this true for some of the non-FDA-cleared cheap foreign built lasers on Ebay and other discount sites. Most class 4 laser with a power of 10 watts or more require that the emitter is kept moving when the system is on but you typically need to keep that emitter moving anyway since most treatment areas are larger than the emitter size. It is very rare that anyone will do enough things wrong (static, CW max-power collimated treatment) to have a problem. For most therapies, you want to cover an area of 4 to 40 times the diameter of the emitter, so you need to move the laser anyway. 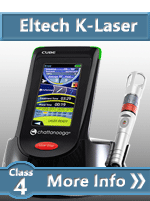 With higher power class 4 lasers, you simply have 2 reasons to move the laser; better efficacy and safety. Many practitioners use heat lamps with power levels up to 250 watts in their practice. If used improperly, heat lamps have more potential for burning. Just like with a heat lamp, you must check with the patient and make sure they are comfortable with their level of warming. In exchange for this potential risk, you get the opportunity to blow patients away with almost instantaneous results. Since a 10-watt system is delivering 600 joules per minute, you simply keep it moving for about 4 minutes and you have 2400 joules into the total treatment area. That level of energy will typically produce much stronger response that you get with a lower power laser. For many practitioners and users with serious problems, it's hard to deny that the option to deliver high dosages when appropriate is worth the slight risk of heating the tissue. If you want instantaneous pain relief, there is no substitute for power. If you really want the maximum wow factor (where patients walk away feeling totally different), a collimated class 4 laser is like no other. The real problem is that most class 4 systems are 980nm. 980nm is the best wavelength for heating the water in tissue. That is why they make great hot surgical lasers (just search for 980nm surgical lasers) and bad therapy lasers (much of the energy is lost in heating and not cellular interaction). Billing for the Service: Some cold laser therapies qualify for insurance reimbursement using a standard cold lasers CPT code. The most common is 97026 (infrared therapy). Cold laser therapy performed by a licensed practitioner typically can be paid for using an HSA account. Buying a Laser: The purchase of cold laser devices may be covered by some insurance plans using the HCPCS code E1399 (generic durable medical device). In worst case, it is possible to force an insurance company to pay for a laser through the court system. Here is an article written by a customer who successfully forced her insurance company to pay for a home laser but it took about 1 year in the courts. If you want to see where our information comes from or you want to do your own research, try our cold laser therapy research tool. If you are looking for help navigating regulations, we have a summary of laser therapy regulations. 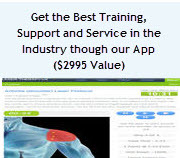 If you are looking for video training on laser therapy, you can use our free LLLT video training program. If you are looking for a doctor in your area that does laser therapy, you can use our directory of doctors who offer laser therapy. If you want to see some of the protocols included in our protocol library you can visit our state-of-the-art cold laser protocol library. *TerraQuant systems only spec their peak power (which exceeds our requirements). Why buy from ColdLasers.Org? We provide the best service in the industry.